Two to choose from, gas powered straw blowers. Finn and Pro-Chopper straw bail blowers. 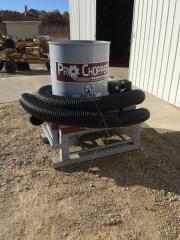 Customer to supply own straw & fuel to operate blower.